GoDaddy, the web-hosting and domain-name giant — and erstwhile cloud computing provider — has a plan to bring both itself and millions of its small-business customers into the 21st century. News on Thursday that the company is getting into the mobile website space is just the beginning of the company’s plan to become a product company — something like Intuit (s intu) for the front office. But GoDaddy will be leaving the desktop behind. New head of products and technology Jason Rosenthal told me GoDaddy is trying to evolve from being just a marketing and support company. It wants to grow a third leg focused on products and technology, and it thinks mobile is the perfect delivery vehicle for those aspirations. 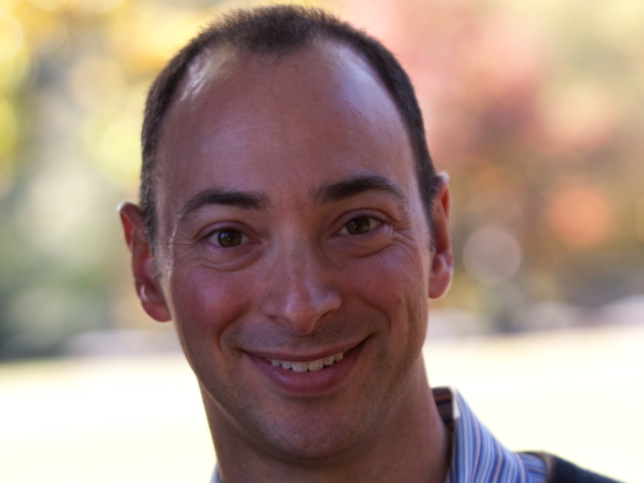 Rosenthal has spearheaded major strategic efforts before, including at his previous gig as Ning.com CEO, where he got rid of the social-network-creation company’s freemium business just a month into his tenure. Whatever the rationale behind that decision, though, it’s difficult to argue with his focus on mobile at GoDaddy. Mobile device shipments have surpassed PC shipments, and even small businesses can no longer afford to ignore that reality. Consumers increasingly want to surf the web and do business on tablets and smartphones, and if it takes too long for a big clunky site to load, or if it’s too difficult to navigate a poorly designed site best viewed on a 27-inch screen, they’ll go elsewhere. So, on Thursday, GoDaddy announced its new program for letting customers easily create their own mobile websites or convert their existing sites into mobile one (in fact, the conversion is free for the company’s approximately 700,000 premium Website Builder customers). 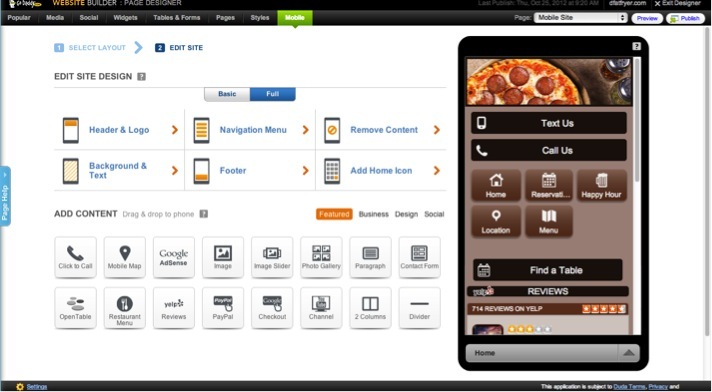 Customers can customize their new mobile sites if they wish, but thanks to a partnership with mobile-conversion specialist DudaMobile, the idea is that GoDaddy’s customer base of landscapers, shop owners and others can make the transition with a click of the mouse. In fact, the real first step in GoDaddy’s planned evolution might have occurred in July when the company bought Outright, creator of a Software-as-a-Service application for financial management. That helped the company establish a presence in Silicon Valley and also gave it the first in what sounds like a series of SaaS applications designed to make life easier all around for GoDaddy small-business customers, not just when it comes to hosting websites. The accounting app will be first, Rosenthal said, and we should expect to see a big product announcement every couple of months through 2013. And they’ll have a largely mobile-first bent. He thinks a comparison to Intuit’s suite of cloud-based applications is fair, only he noted that GoDaddy’s offerings will be built from the ground up for mobile devices (running to the desktop to change a website or do simple accounting will soon start to feel “clunky,” he said) and will be less focused on the back office and more focused on helping manage users’ web presences. Lest anyone get suspicious of GoDaddy’s ability to follow through on its SaaS transition after the company delivered a swift death to its cloud computing infrastructure business in October, Rosenthal said they can rest easy. The company realized after launching the cloud computing offering that most customers really didn’t get it, which is a problem for a company that is, as Rosenthal described it, trying to take the complexity out of technology. Applications and services, not infrastructure, are the way to achieve that goal. But, he added, the whole of GoDaddy is built upon the same cloud architecture that had been externalized as the Cloud Servers offering. And the company has completely separated the web experience from the mobile one, open access to its various services via API and is constantly testing backend configurations to find out what will work best for its mobile customers. If GoDaddy is going to deliver on its mission of giving customers websites and tools that work so their businesses don’t suffer (save for the occasional outage, presumably, which can happen to anyone), Rosenthal said, it all starts with the platform. The partnership with Duda makes a ton of sense for GoDaddy. Having worked at mShopper, which is also in the mobile shopping sites space, I can vouch for the value of mobile commerce site creation. What I find less sensible is the foray into financial services. With mobile, GoDaddy is pitching a marketing spend to SMBs. Itâ€™s very analogous to their current Web Site Builder tools. However, with financial services, they are far removed from their core value proposition. Most small businesses view web sites, servers, and now mobile as marketing spend. It remains to be seen whether productivity can be a big part of GoDaddyâ€™s future value proposition. That said, thereâ€™s still lots to do in marketing/advertising. I wouldnâ€™t be surprised to see GoDaddy partner to sell other ROI-driven and marketing-automation SaaS. Maybe Social is next. As an employee of Network Solutions and having watching Go Daddy surpass Network Solutions as the world’s largest domain registrar, I must say, I’m a bit nervous about the longevity of my job. With GoDaddy expanding into other markets where competing registrars and web hosting companies are not, I am beginning to swing my support away from the company that pays me to what I hope might one day be a future employer. @Bryan Coleman – You don’t want to work for Go Daddy unless you are eager to be chewed up and spat out. This applies doubly for any of the engineering positions. Go Daddy is about quantity not quality. Network Solutions still has the advantage in those areas and there will always be a market for that. Mr Rosenthal ought to sack most of the middle management and product team heads replacing them with competent experienced technologists. You SHOULD be concerned about your job and should also be actively searching for a new one! Netsol is a dead brand among the consumer and has had zero innovation in the past 6 years. With 6M domains under management (and decreasing every day), it’s only a matter of time before Netsol fully dismantles their business. Oh, and let’s not forget the 1,000+ employees that they just laid off over the past 4 years (and through the Web.com acquisition). The odds are not in your favor, Bryan.